How did he not know a question on Iraq was coming? More than 4,000 US casualties. Tens of thousands of Americans wounded. And with the rise of the Islamic State in the Middle East, a grave situation that is still very fluid on the ground. More than a dozen years after it began, the Iraq War has an influence on American politics like few other issues – and for one (likely) candidate in particular. 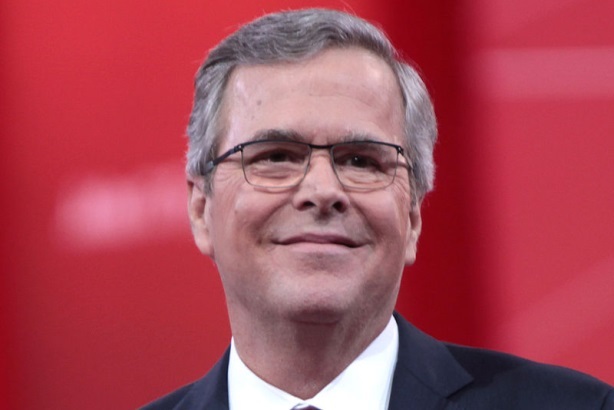 Fair or not, Jeb Bush is the brother of the president that most Americans identify with the start of the war. If he wants to be president himself, the former Florida governor will have to do a much better job identifying and describing his thoughts on the conflict. Asked earlier this month if he would have used force to overthrow Saddam Hussein, Bush took a circuitous, four-news-cycle route to his final answer that "knowing what we know now," he would not have given the "go" order. It was messy. It would have been for any politician, but it was miserably so for one named Bush. To start, Bush said on Fox News – not usually a place where GOP candidates get in trouble – that he would have authorized US forces to remove Hussein, noting that Democratic frontrunner Hillary Clinton voted to do the same. A few days later, he backtracked to say he wasn’t sure, calling it a hypothetical. Then, the 180-degree turn, saying he would not have invaded the country. You could practically hear the jaws of media-relations pros from both sides of the aisle hit the floor in shock. Bush’s father and brother are both remembered for signing off on military action against Iraqi dictator Saddam Hussein more than any other decisions they made in office. How did he not know this was coming? Potential allies were troubled as well. One GOP lawmaker told The Hill he was "flabbergasted by the degree of back and forth that’s ensued this week," describing the vicious cycle of Bush’s replies as "answer, correction, non-answer, correction, etc." That early-primary-state legislator had yet to endorse a candidate in the race, the Capitol Hill outlet pointed out. To be fair, Bush is in a pickle on this issue. Long before the former two-term governor hinted at his intentions, observers noted that the Bush surname would be a drag on his candidacy. ("Clinton fatigue" and the prospect of two dynastic candidates battling it out for the White House in a general election is a topic for a different blog). And none of his brother’s decisions, not the bank bailouts, the immediate response to 9-11, or his attempt to reform immigration, is nearly as divisive as the Iraq War. In short, he’s caught between publicly disagreeing with his brother on the war – a national news story in itself – or disagreeing with most of the American public. Neither is a good option. There’s also a hint of irony in a candidate named Bush being trapped by his own U-turn on Iraq. George W. Bush’s campaign beat Democratic challenger John Kerry over the head with his about face on funding the conflict in the 2004 election – remember the "I actually did vote for the $87 billion before I voted against it" ads? The Bush campaign painted Kerry as too weak and indecisive to sit in the Oval Office, and it worked like a charm. That’s where media training comes in. It’ll be even more important in this campaign than it was in 2004, due to the press keeping an hour-by-hour, social-media-driven gaffe scorecard. While Bush was near-unbelievably unprepared for what seemed like a question that’s been coming his way for years, he has time to recover. He hasn’t even formally declared he’s running, after all. In the end, it may not even matter. If the experts are right this time and Clinton does sweep to the Democratic nomination, and Bush recovers to win his own party’s nod, he’ll get to use the attack line he was hinting at in the first place. But you can be sure of one thing: with the Islamic State owning the international headlines, questions about the past, present, and future of Iraq aren’t going away, and all candidates are going to need a concise answer.